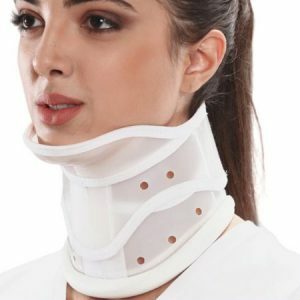 Cervical Collar is also known as a neck brace, is designed to stabilize and support the neck region by limiting the head movement. 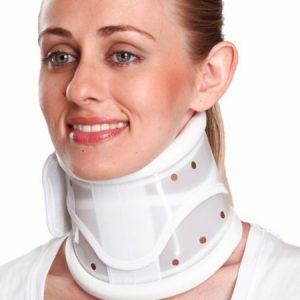 Cervical Collar Soft with Support is especially useful in Post-operative rehabilitation; cervical sprains and strains. 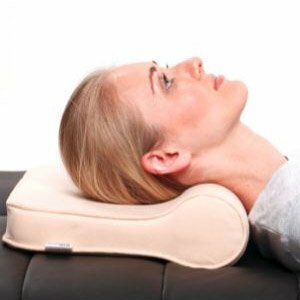 They do not completely immobilize the neck, however; they are a constant reminder for the patient to reduce neck movement. 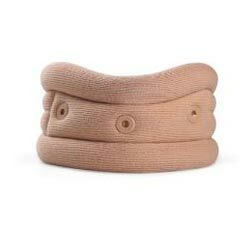 Made from high-density PU foam 30 kg/m3 witch provide better support and enhanced immobilization. 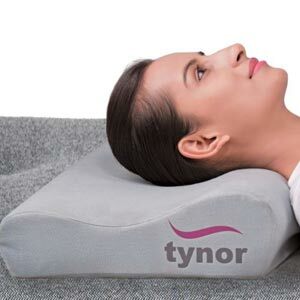 It has higher cushioning, better comfort, higher patient compliance, and long functional life. Reinforced with LDPE sheet with thick round edges to enhance immobilization. Edge doesn’t bite into the skin, hence is more comfortable. 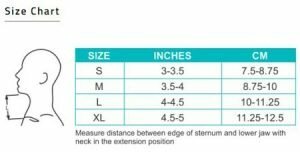 Edge doesn’t bite into the foam, enhances the life of the collar. 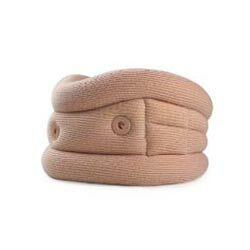 Rustproof, Polypropylene eyelets provide proper ventilation and enhanced patient comfort. Dermophillic cotton stockinet with high GSM is treated to improve hypoallergenicity, ensure no rash or allergy. 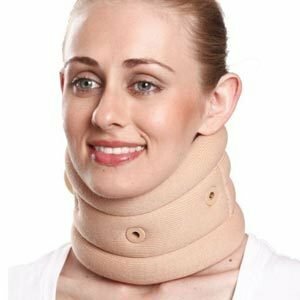 Improves comfort and improves the overall life of the collar.